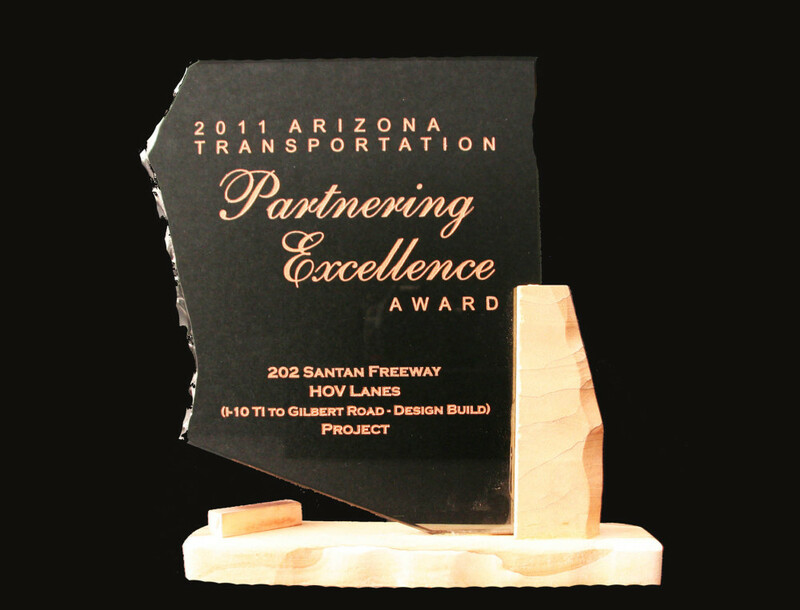 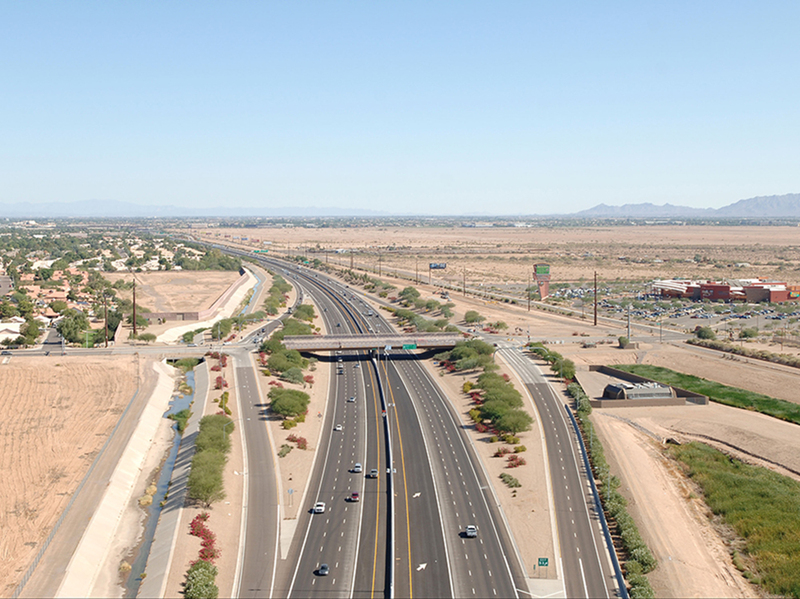 Santan Freeway (SR202L), I-10 to Gilbert Road HOV Lanes Design-Build | AZTEC Engineering Group, Inc. Santan Freeway (SR202L), I-10 to Gilbert Road HOV Lanes Design-Build | AZTEC Engineering Group, Inc.
AZTEC served as lead designer for this design-build (DB) project in Chandler, Arizona. 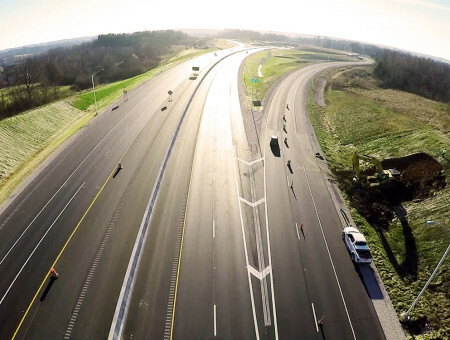 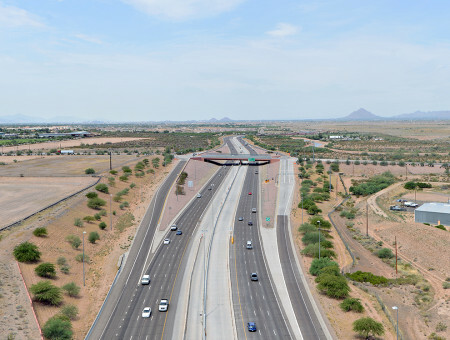 Working closely with the joint-venture contractor, the project provided new high occupancy vehicle (HOV) lanes within the median of SR202L for each travel direction, including HOV directional ramp structures at the I-10/SR202L interchange and the SR101L/SR202L interchange. 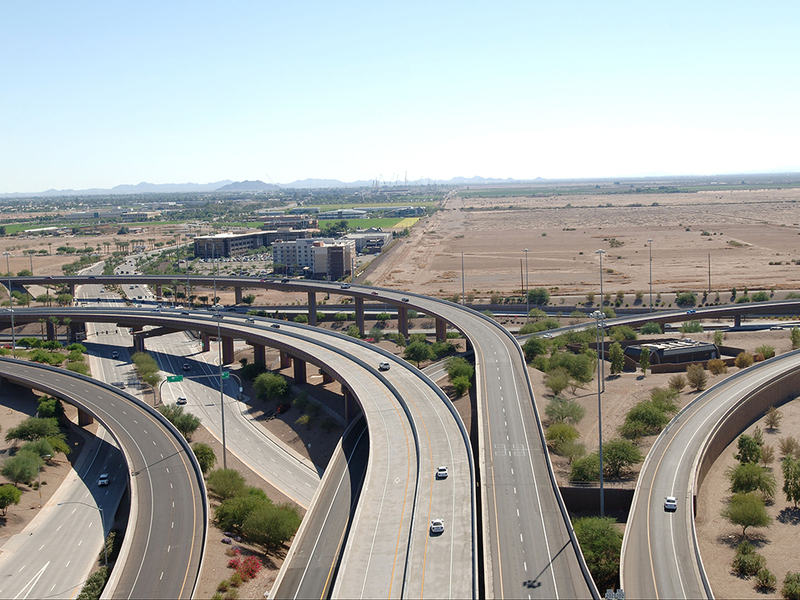 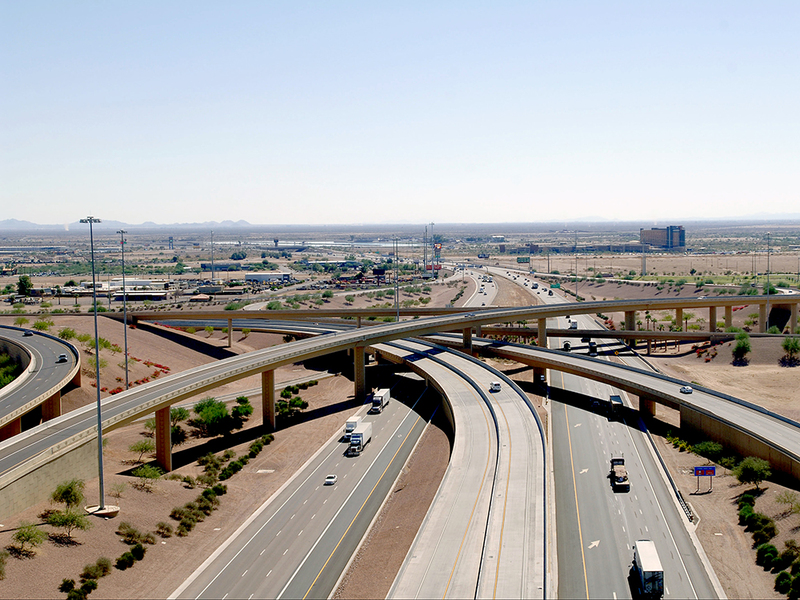 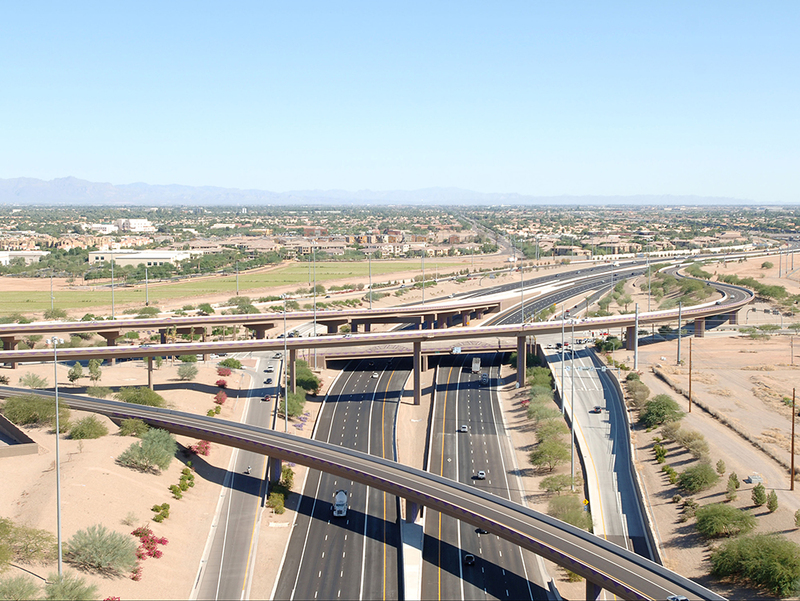 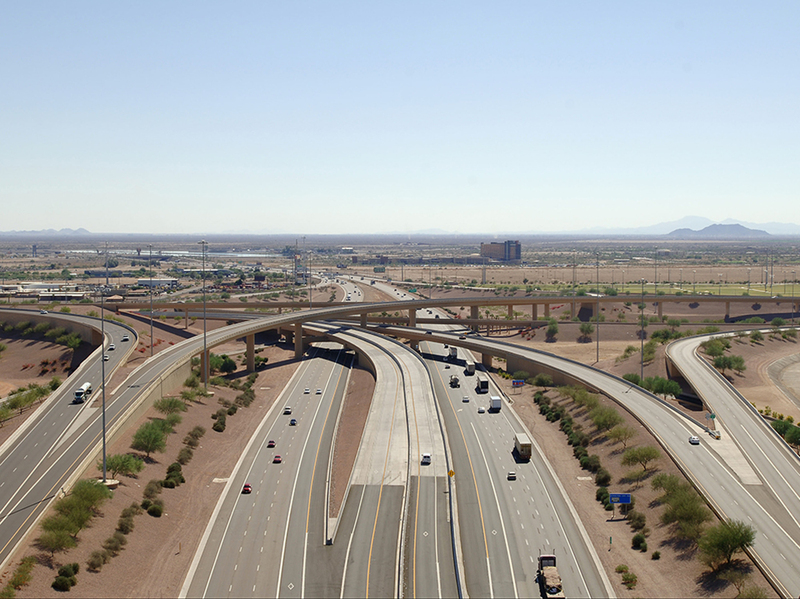 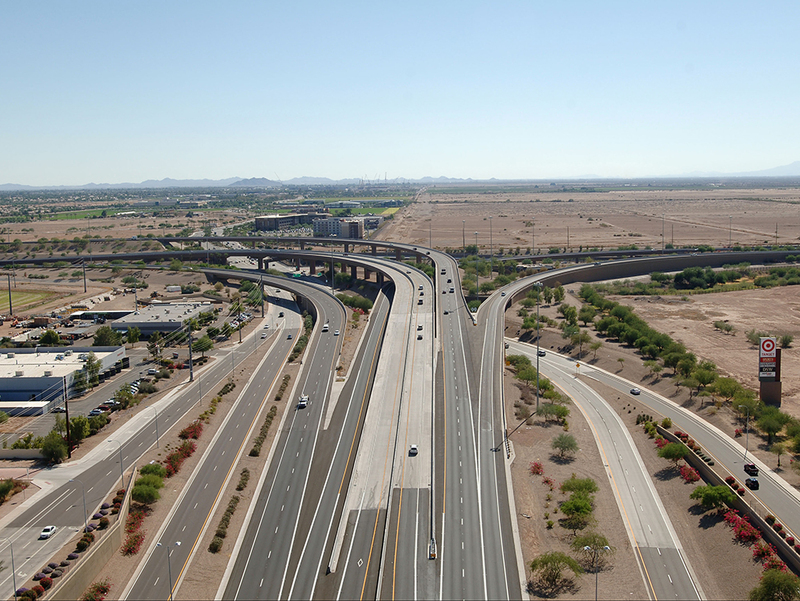 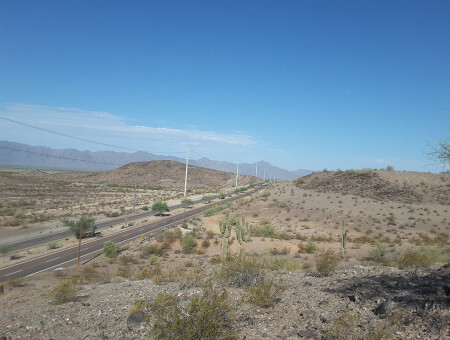 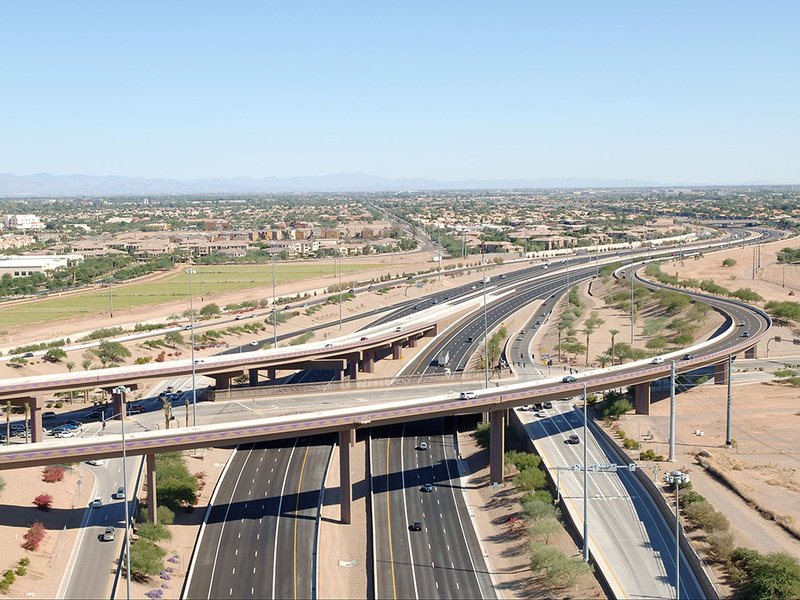 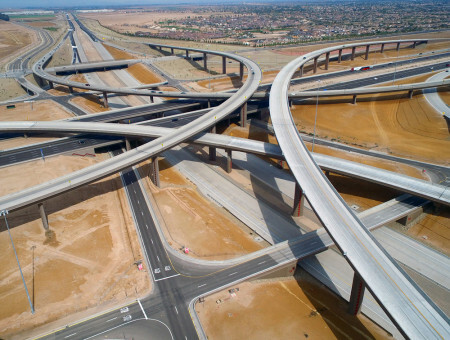 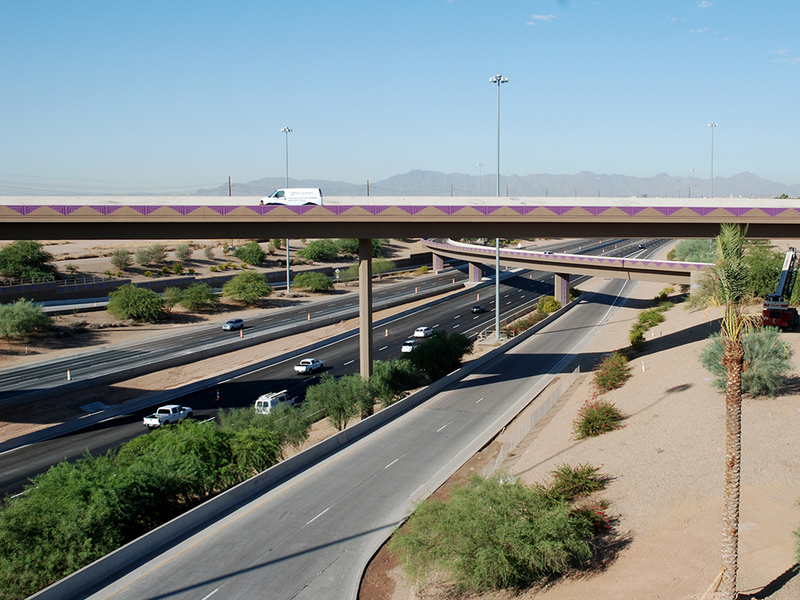 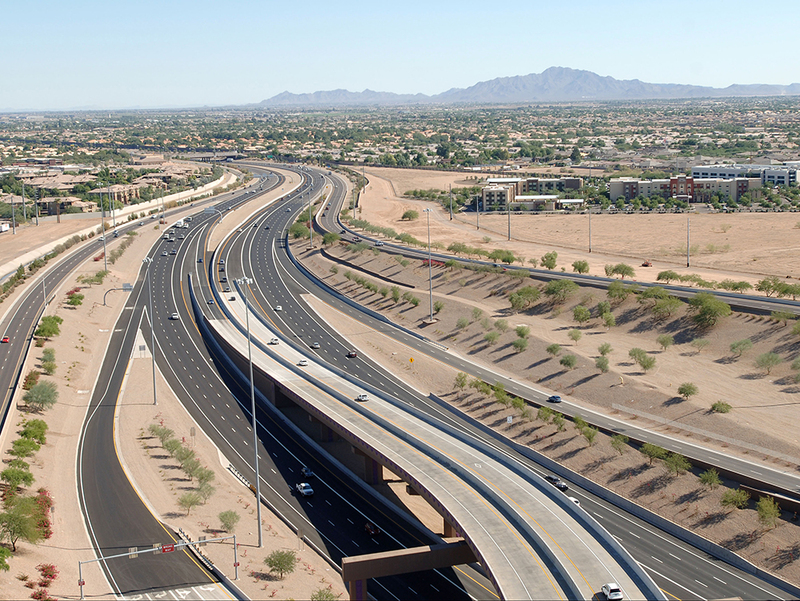 Now complete, the project features nearly 25 lane-miles of new HOV access and has improved traffic flow, reduced freeway congestion, encouraged carpooling, and facilitated access to the communities in the East Valley of the Phoenix metropolitan region. 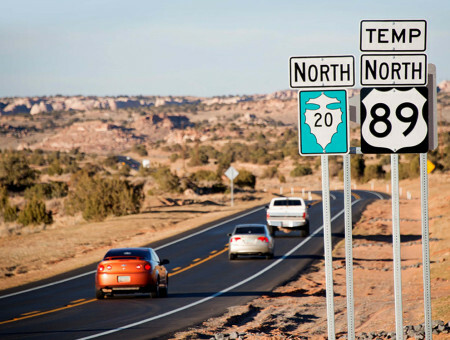 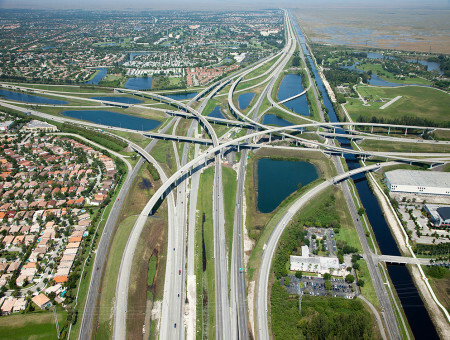 The project scope included the widening of a service interchange bridge that is embedded within the SR101L/SR202L Interchange, numerous retaining walls including heights exceeding 45-feet, on-site drainage improvements, upgraded freeway signing, pavement marking and lighting, concrete median barriers, landscaping modifications and restorations, a new utility crossing and comprehensive design surveys.